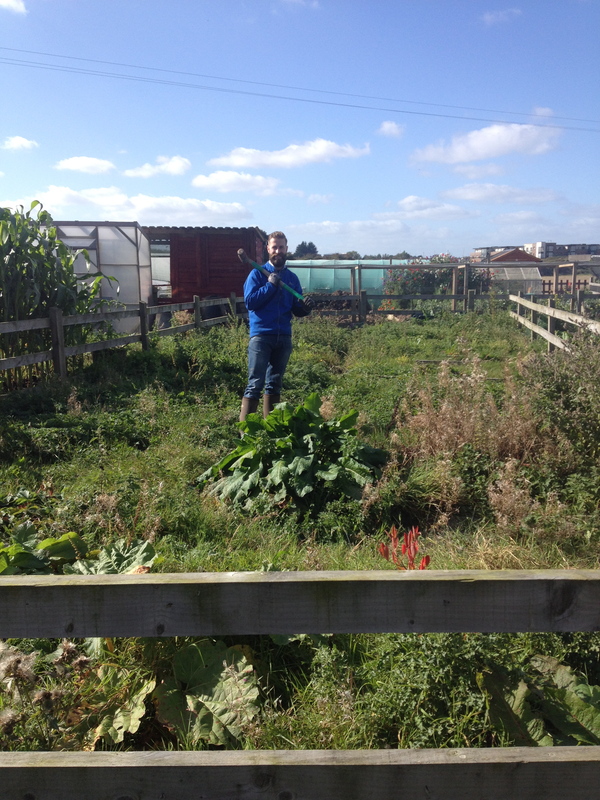 Back at the beginning of September we took on the lease of an allotment. The site is about is about 60ft by 30ft. All of what we grow and raise will be for the Married with Cauldron blog and of course our family. We have a dozen chickens,laying eggs for us everyday. All of which will be used in Davinias baking. We have raised flower beds to grow some fresh seasonal vegetables. I am going to grow some hops for my own brew. And we plan on getting two pigs in January that will be ready for June. Mmmmm Bacon. 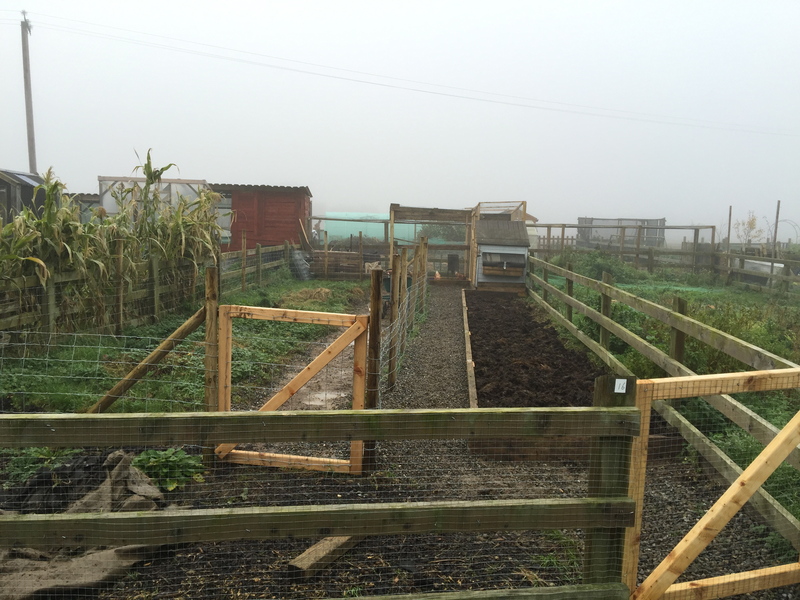 Abigail and Harriet love going down there and learning all about where their food comes from. Down at the allotment very good friends of ours,Barry and Bernie, have a site there too. They have invested wisely in polytunnels. This allows them to grow vegetables for nearly 12 months of the year. Barry and I bought 15 turkeys in September with intention of fattening them up for the Christmas table. To do this you must firstly register your flock with Department of Agriculture. We kept the turkeys on Barrys site until d-day. He made a top class pen and shelter for them that was dry and comfortable. 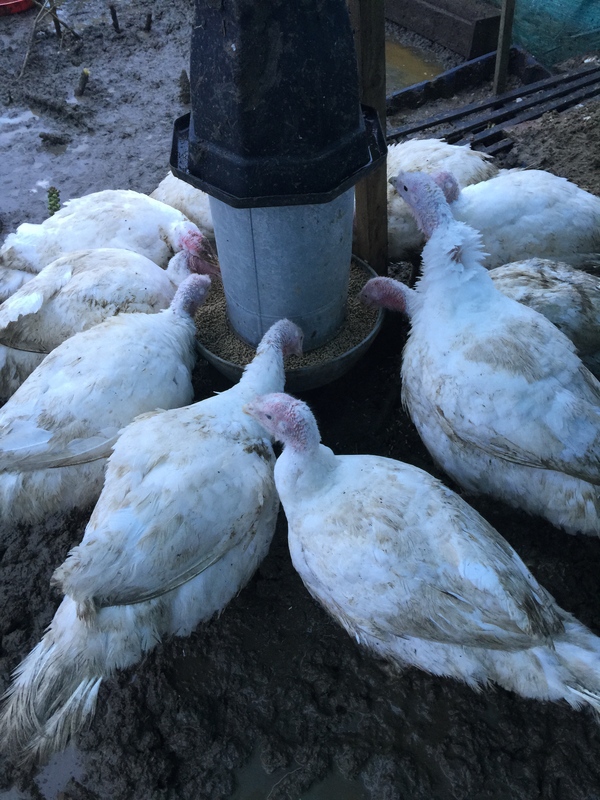 These fine birds got the best of organic meal and fresh water everyday until the end. It got to the stage when Davinia would say ” Where are you off to? ” ” Oh, I’m just going to check on my girls.” It is a full-time job that requires your upmost commitment. The final product will show this. On Thursday the 18th of December we delivered them to Hogans farm in Kells Co. Meath,for processing. We had talked long about that day arriving and worried whether we would be off work. Turns out we were. As we were not wealthy farmers, Barry came up with a super plan of making a pen in the back of his car. It was very secure and unique. It turned a couple of heads at the factory. Lads were arriving in 4×4’s with huge livestock trailers looking every bit the proper farmer. We arrived in a Mazda 5 looking every bit like Fran and Elmo on a mission for Nidge. On arrival you are met by the vet who verifies your flock number and the condition of the birds. He loved our set up. We where next instructed to reverse up to a gate where we meet the owner, Finbar, for the turkeys to be dispatched. The whole process is very humane and clean. They don’t even have time to say “What the F…” Once the turkeys are done they are put into a deep chill refrigerator until collection. Christmas in our house this year was an absolutely memorable experience. Not only was it the first christmas dinner we cooked in our home for our family but the turkey that was cooked was our own. 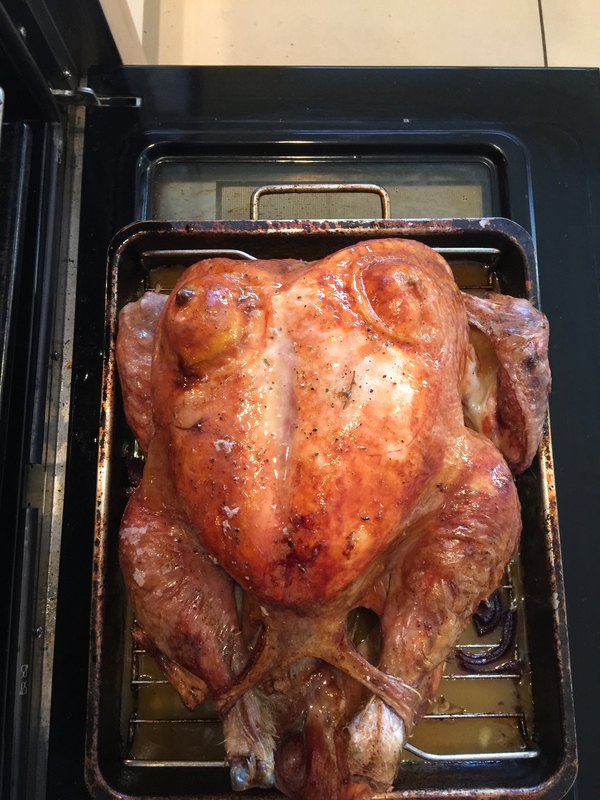 I’d like to say it tasted different but do you know what, turkey is turkey. Having said that, it is all about how you cook it. Hubba Hubba. 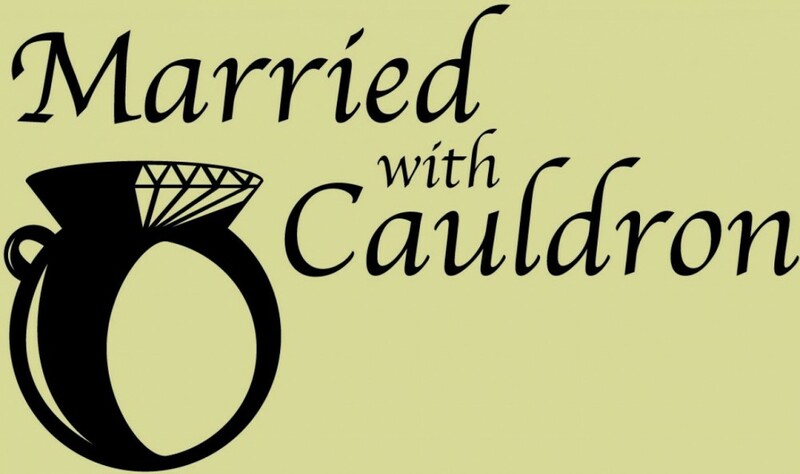 2015 is going to be an uplifting year for us at Married with Cauldron. 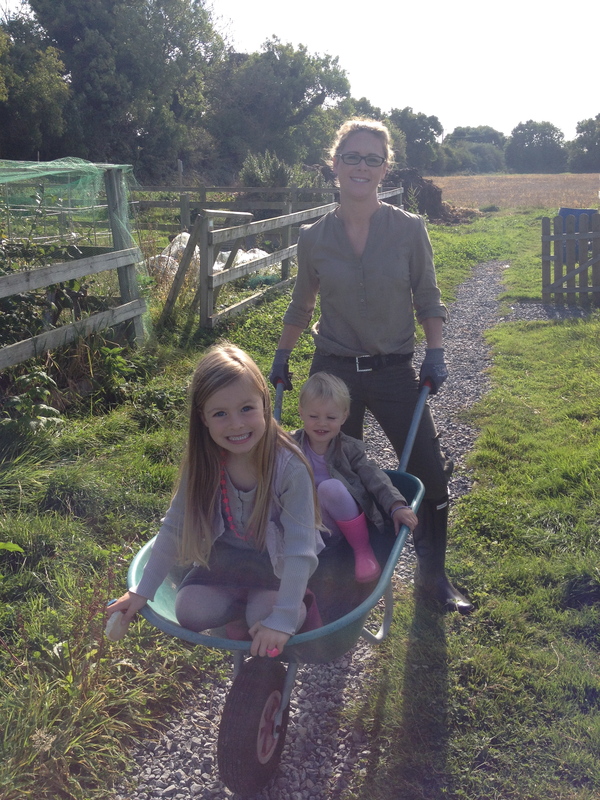 Self sufficiency is going to be a big part of our articles on the blog. And you can read about them here. Remember 2014 is history and 2015 is a mystery. Forget about any negativity from this year and move forward and upward. Don’t harbour any bad thoughts and positivity will have plenty of room to grow. Some people are just peanut butter and jealous. Happy New Year and thanks for following us.